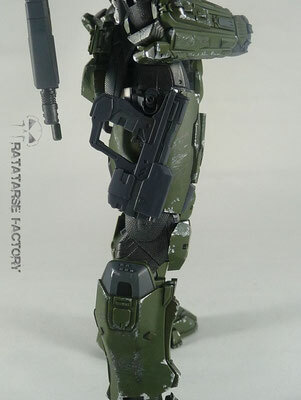 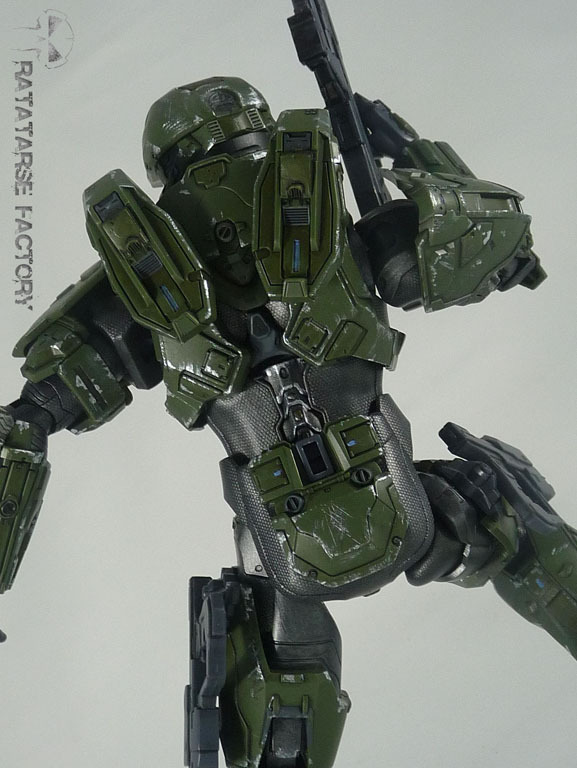 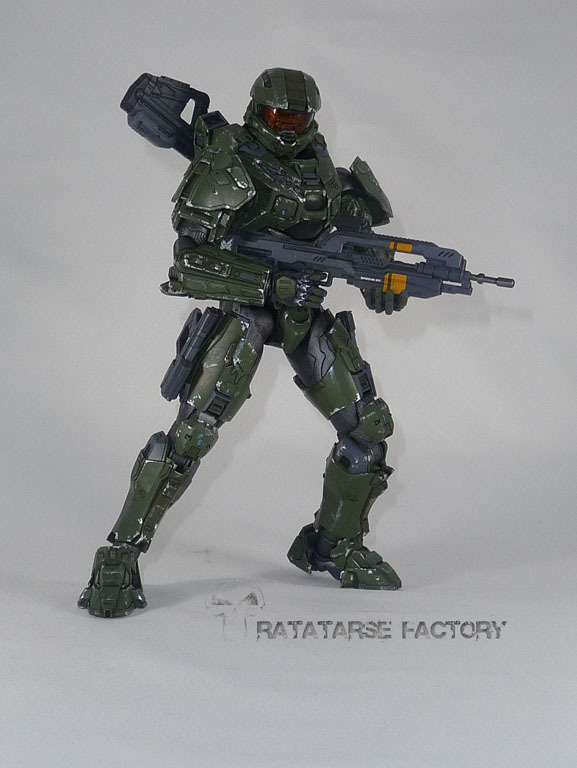 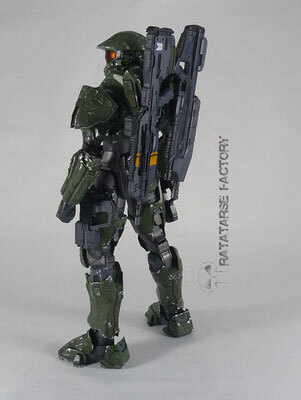 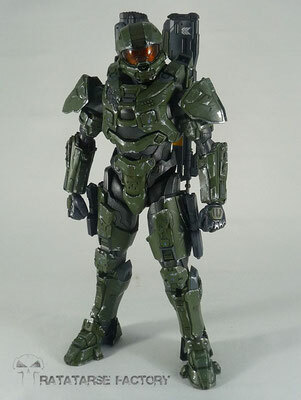 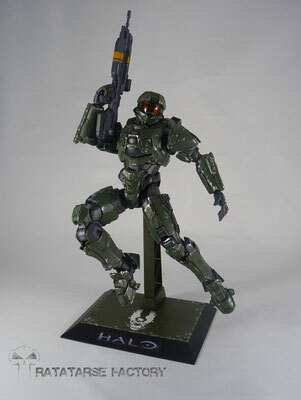 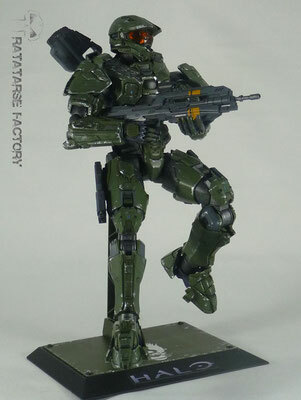 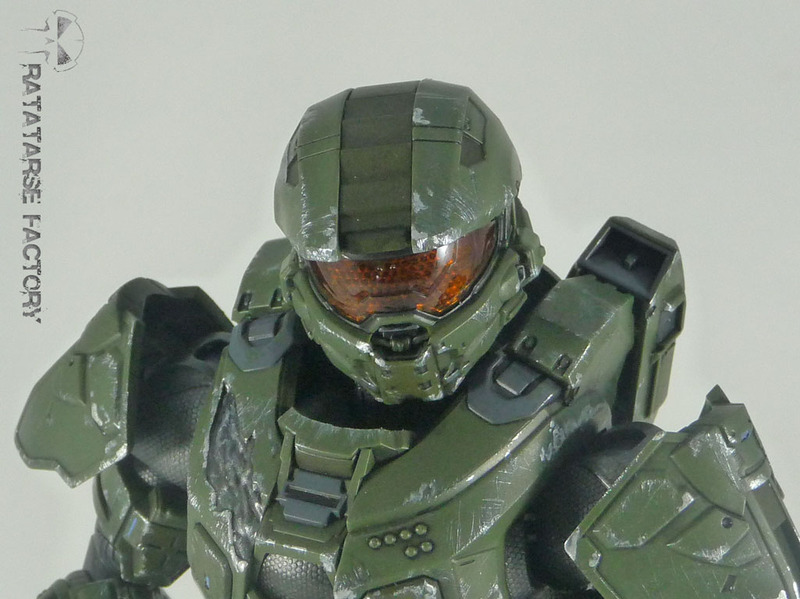 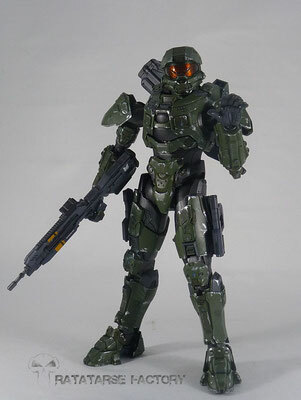 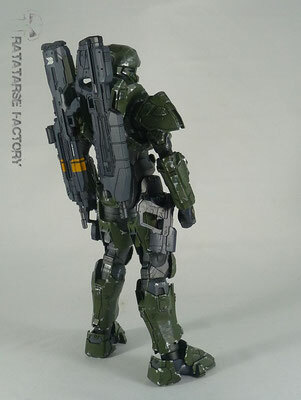 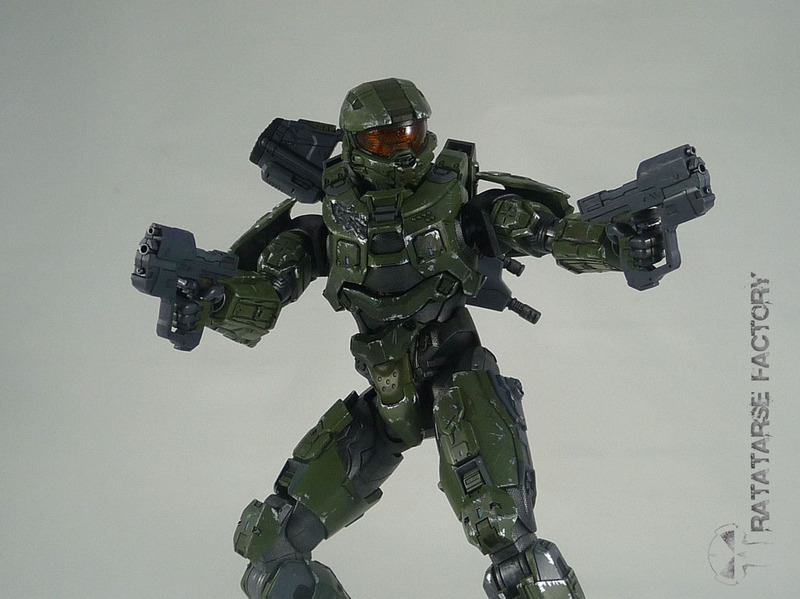 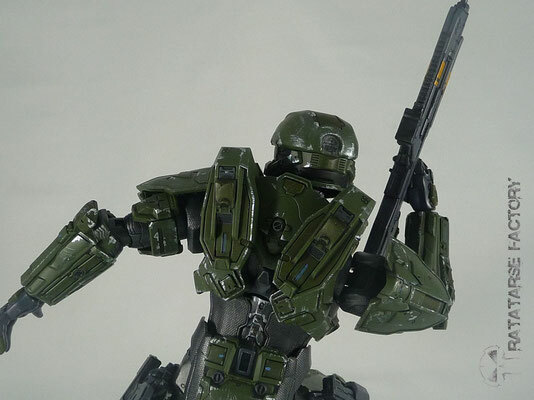 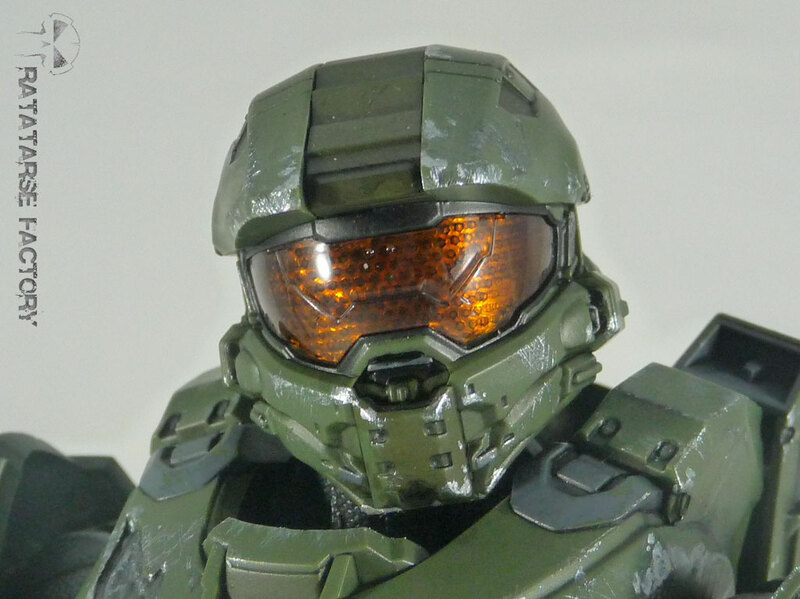 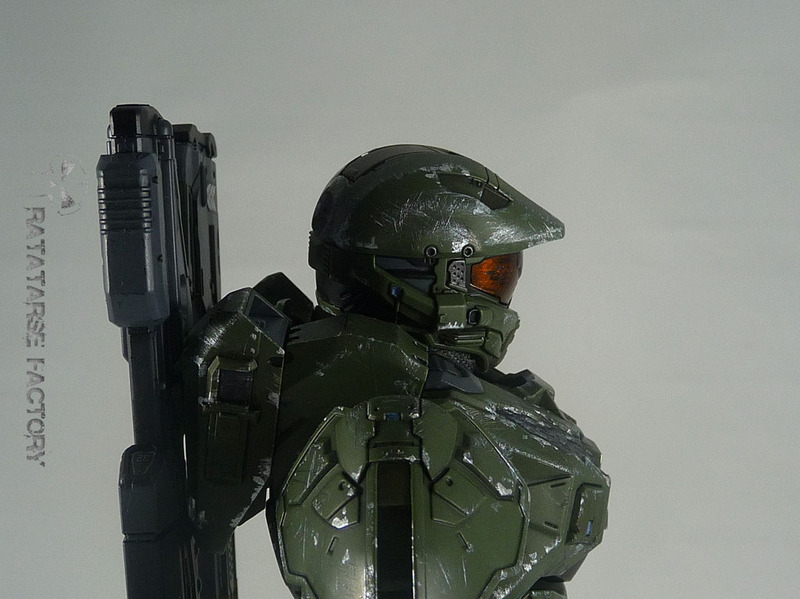 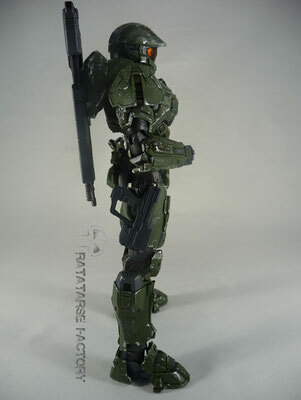 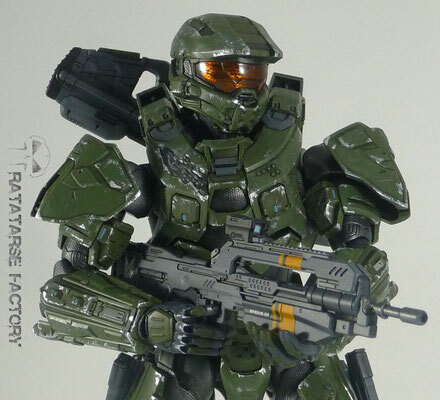 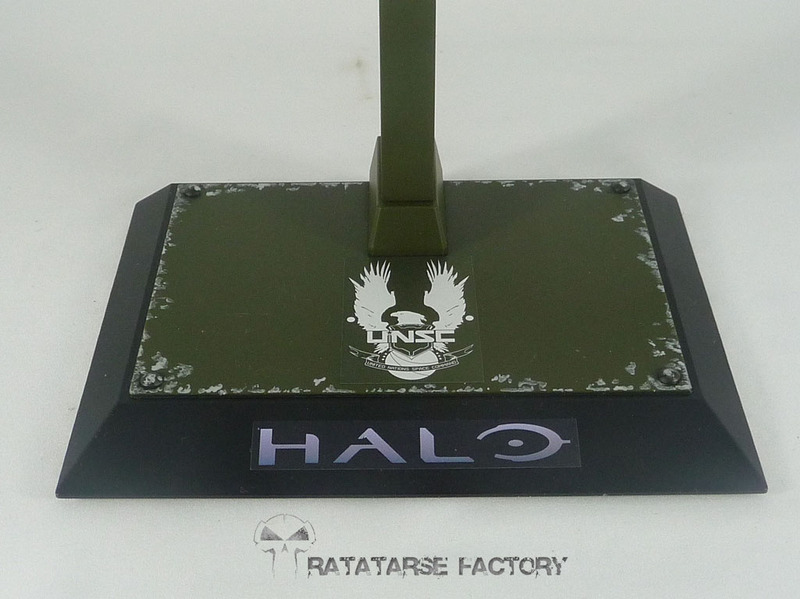 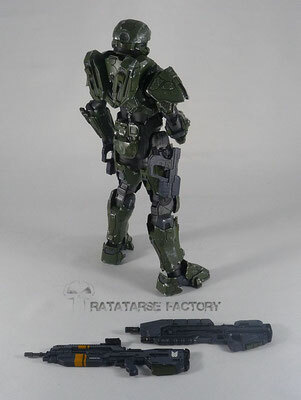 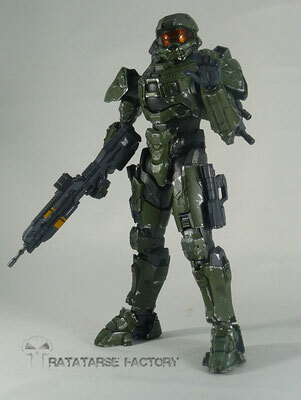 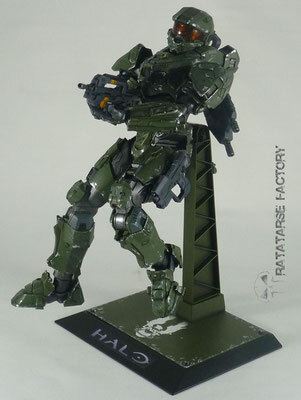 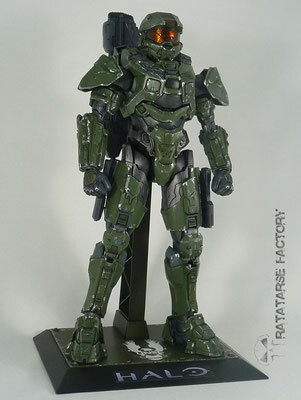 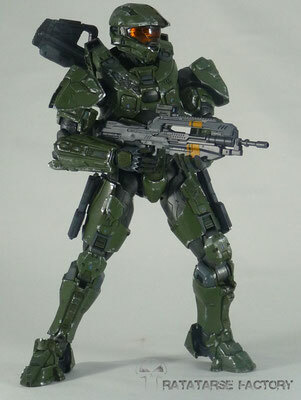 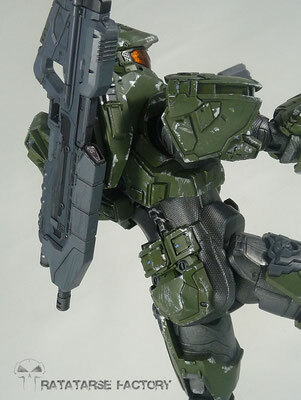 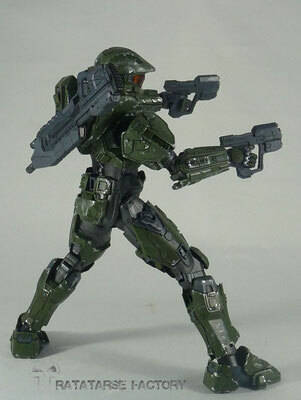 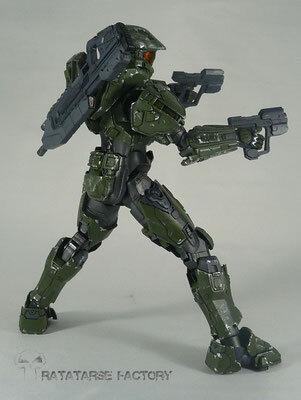 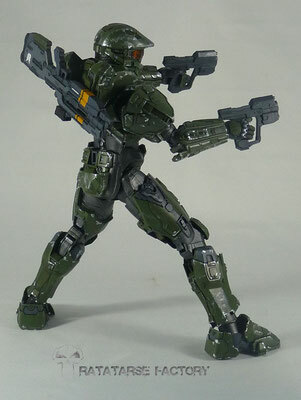 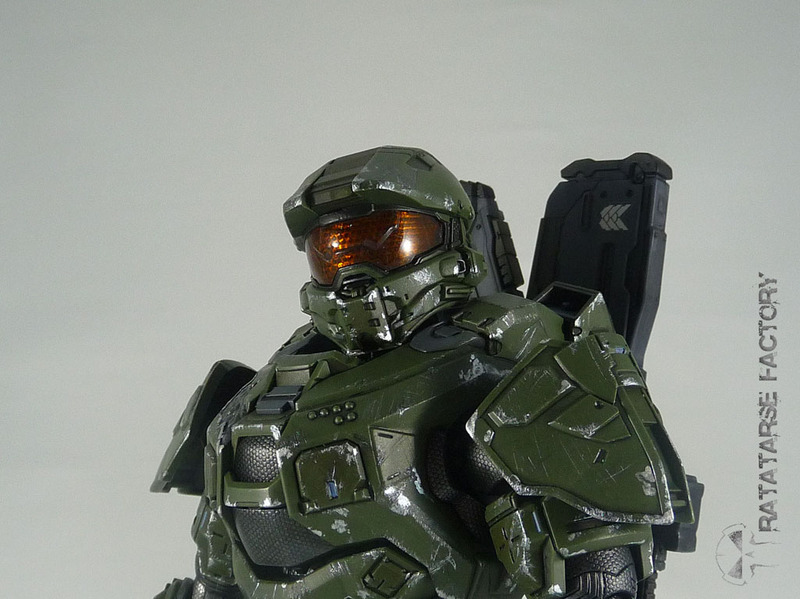 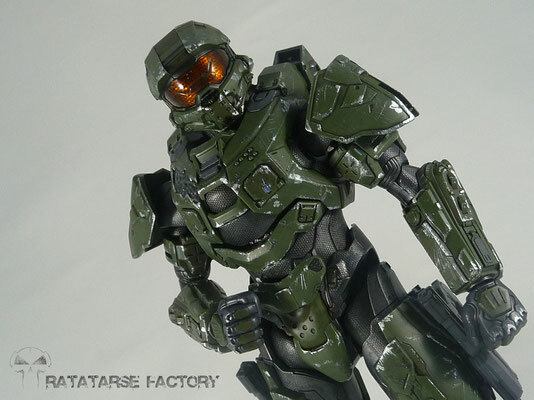 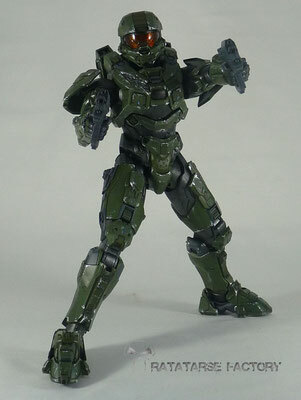 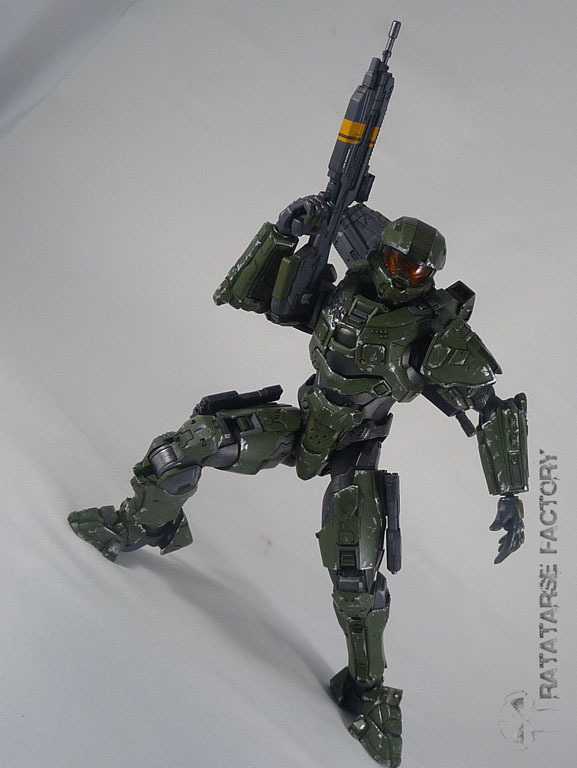 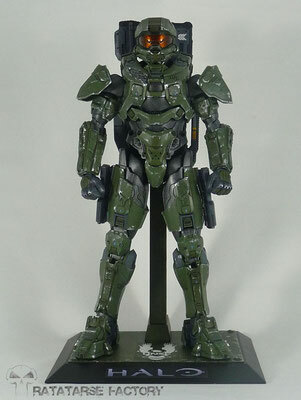 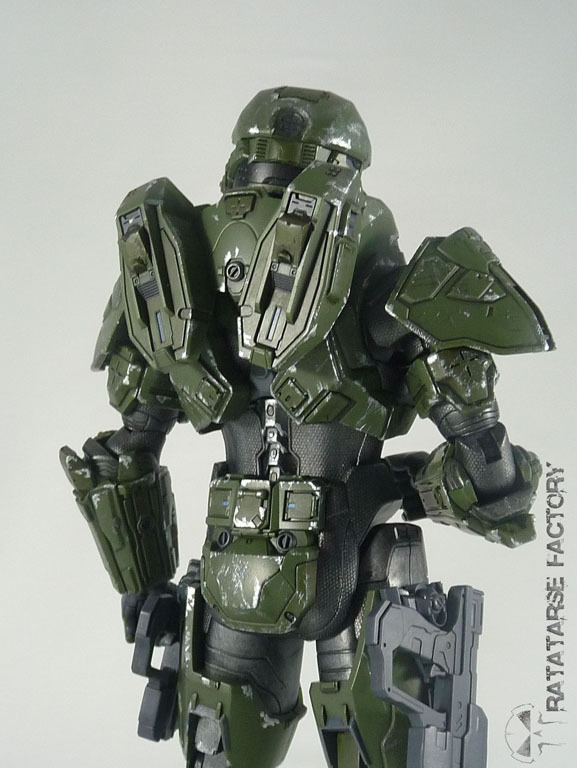 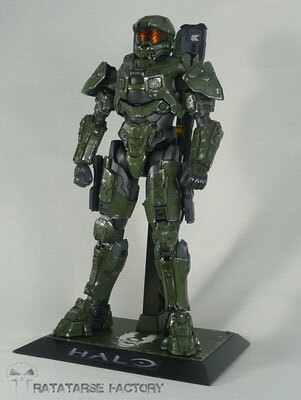 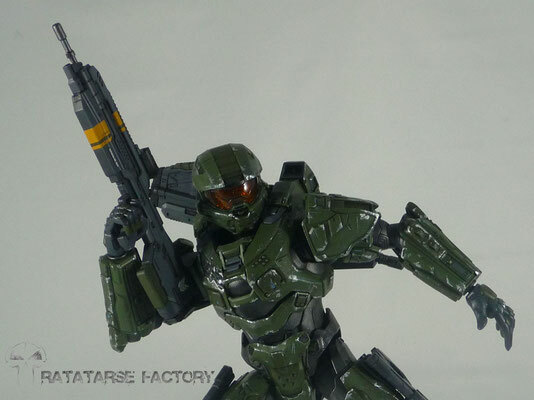 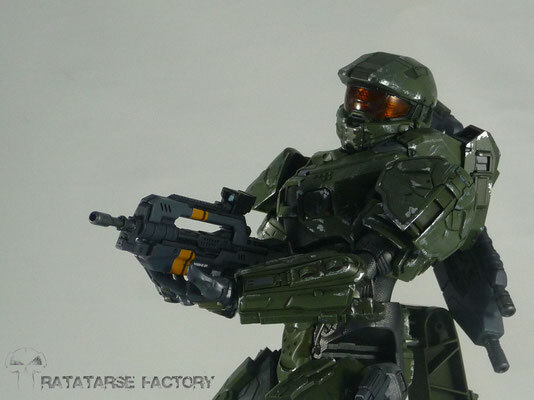 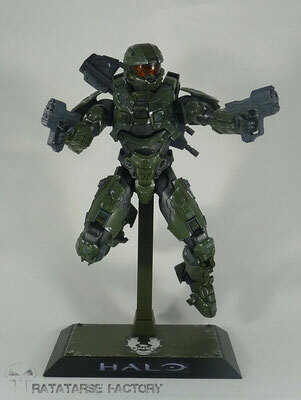 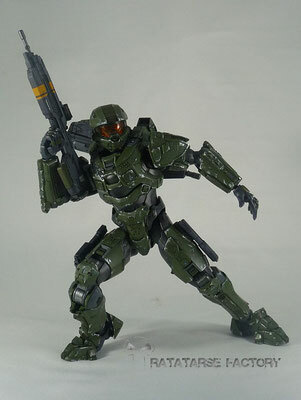 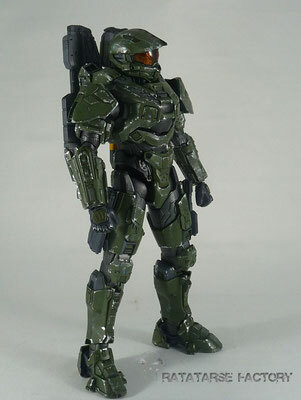 Spartan 117, aka Masterchief, is one of the best known heroes of videogames franchise Halo. Since first one, he is the best soldier you can be. 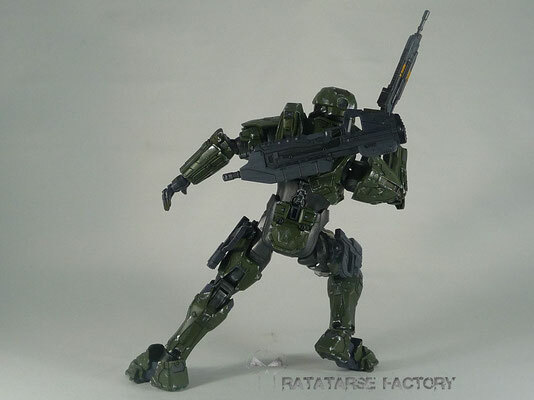 The bandai Sprukits line is kinda no hassle built and good posability kits. 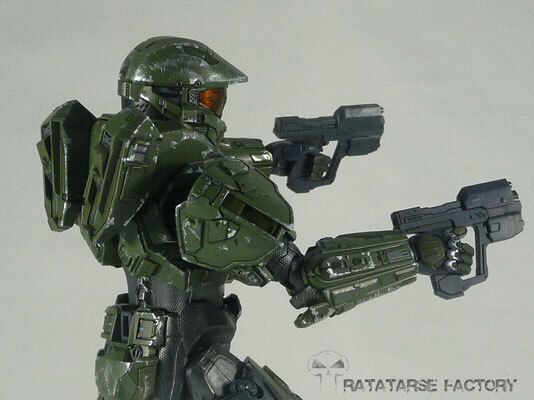 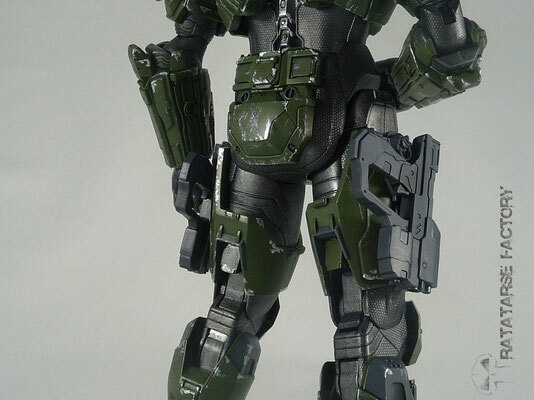 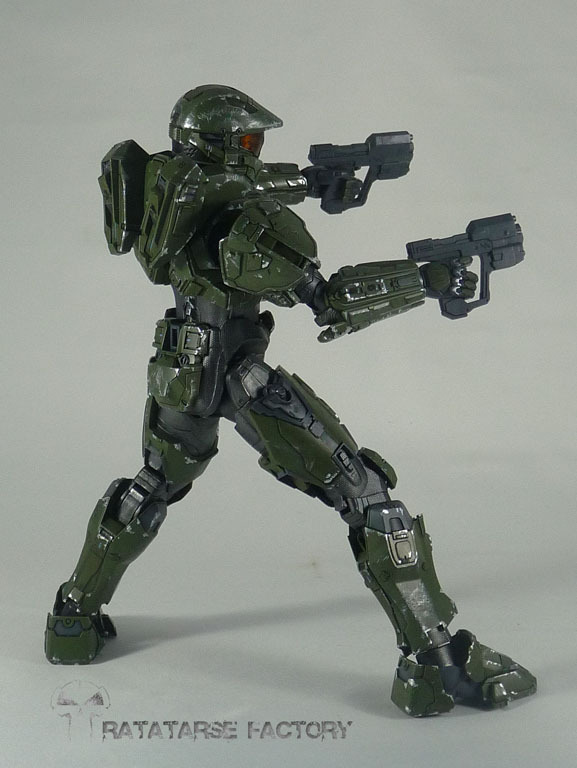 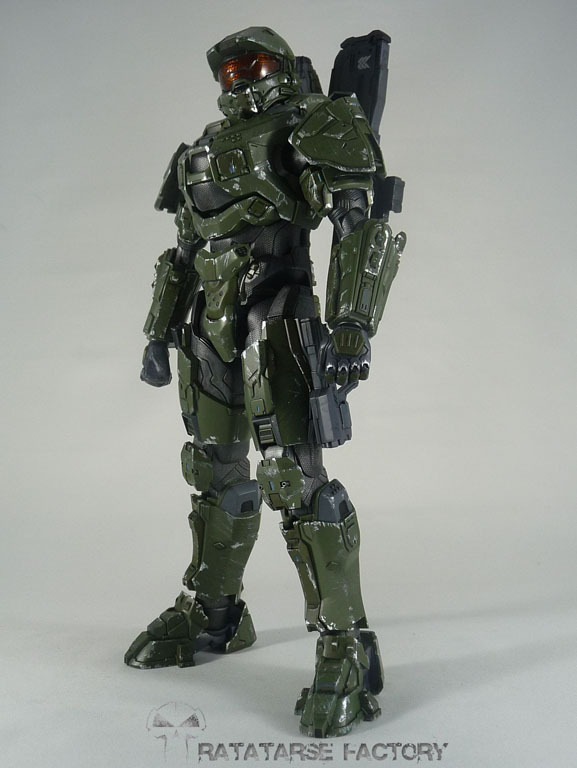 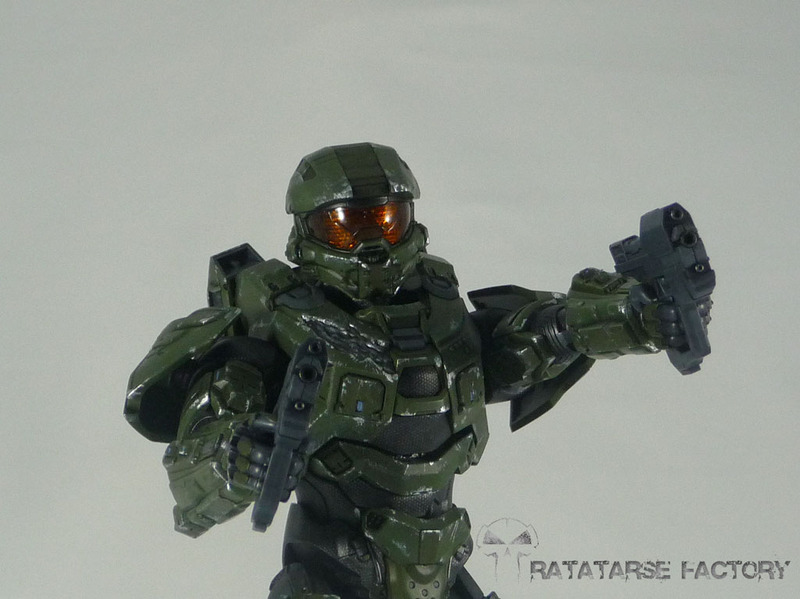 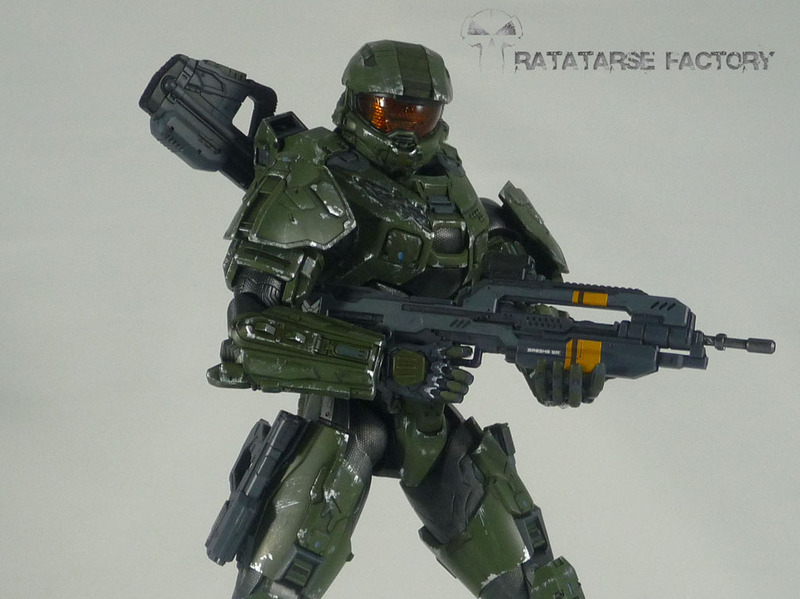 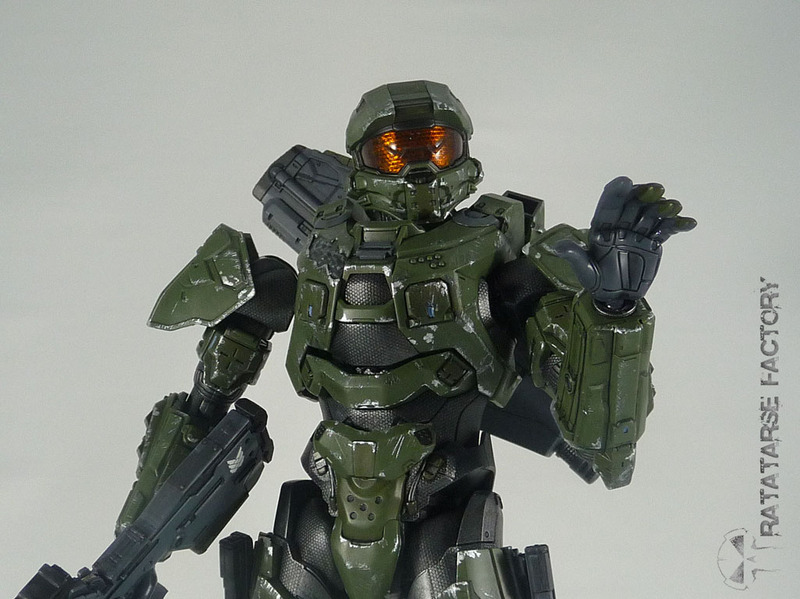 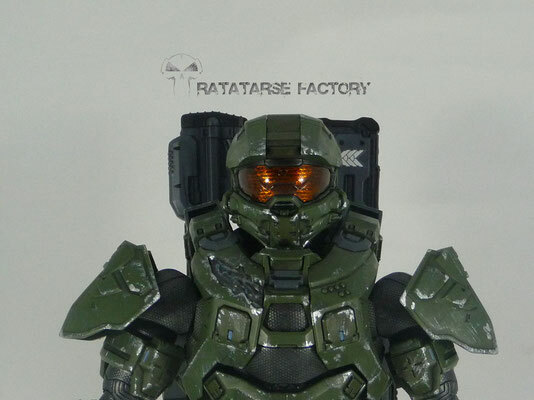 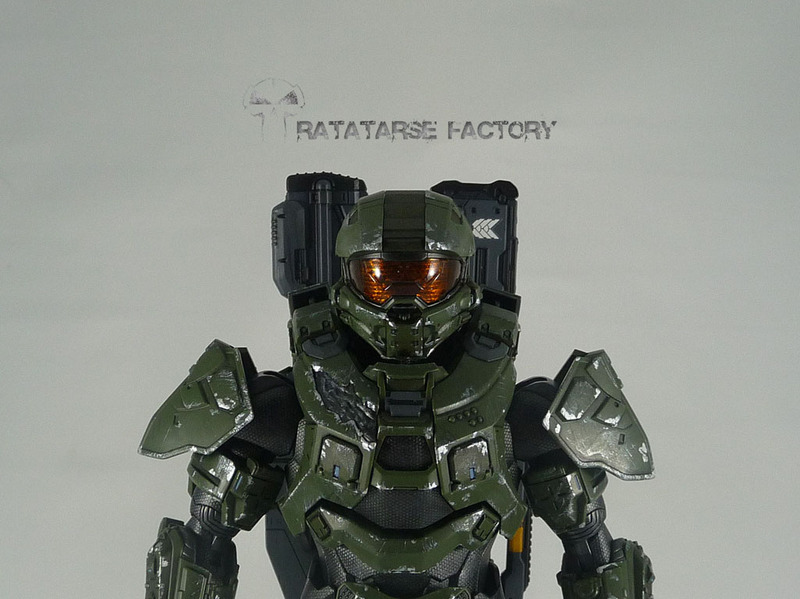 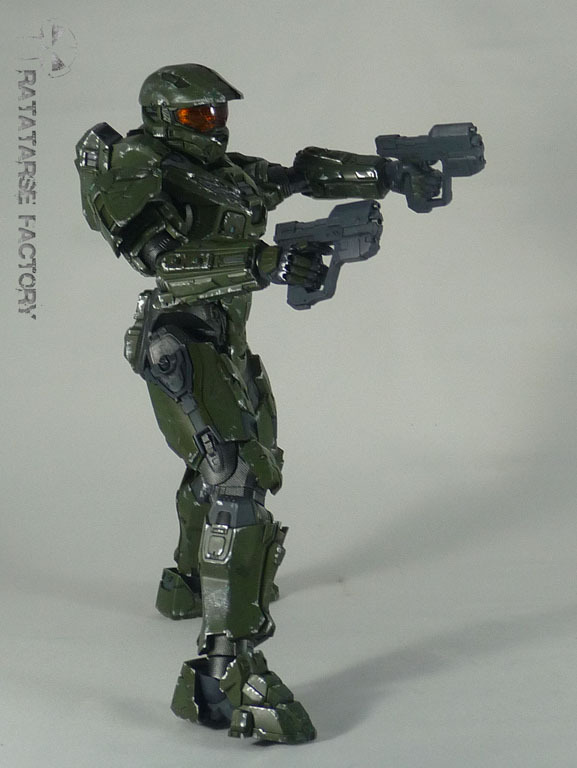 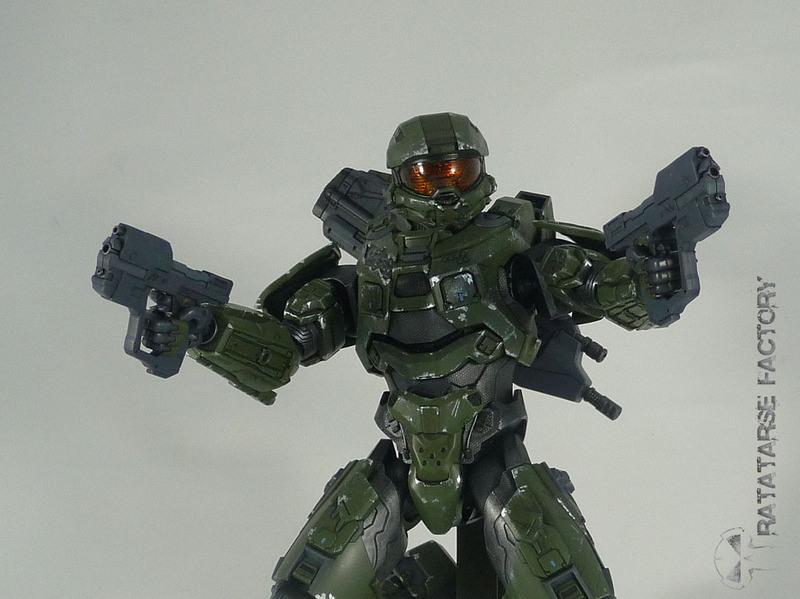 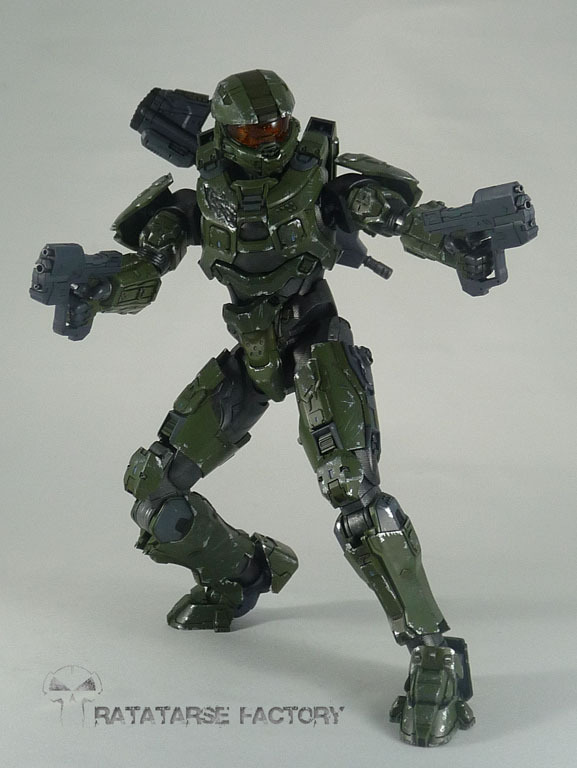 This 1/10 Masterchief is a cool one and, even with tiny missing details that I didn't have corrected to keep the sprukit spirit on the main shape, I had to customize it a little by adding magnets to attach the 4 weapons. 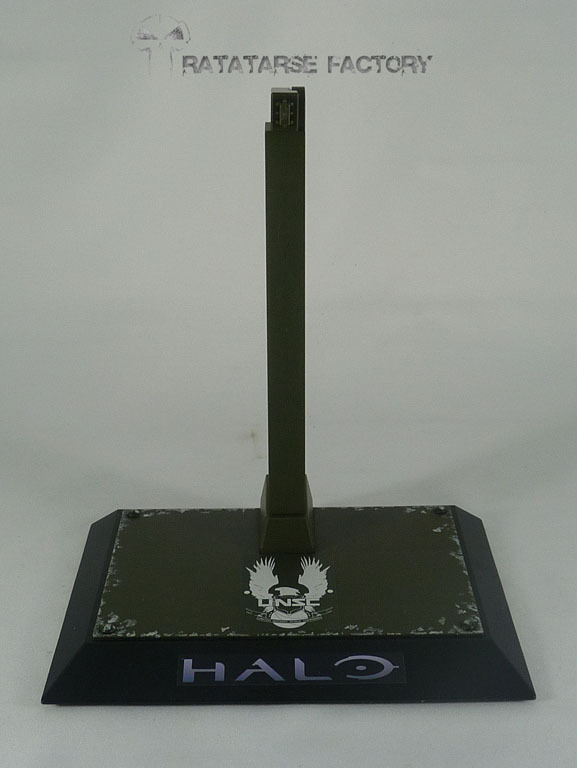 Added four bolts on the stand to make it look like a base plate, too. 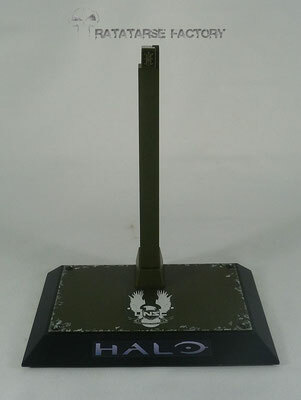 Handbrushed with acrylics and enamels.